Heads You Live... Tails You Die. 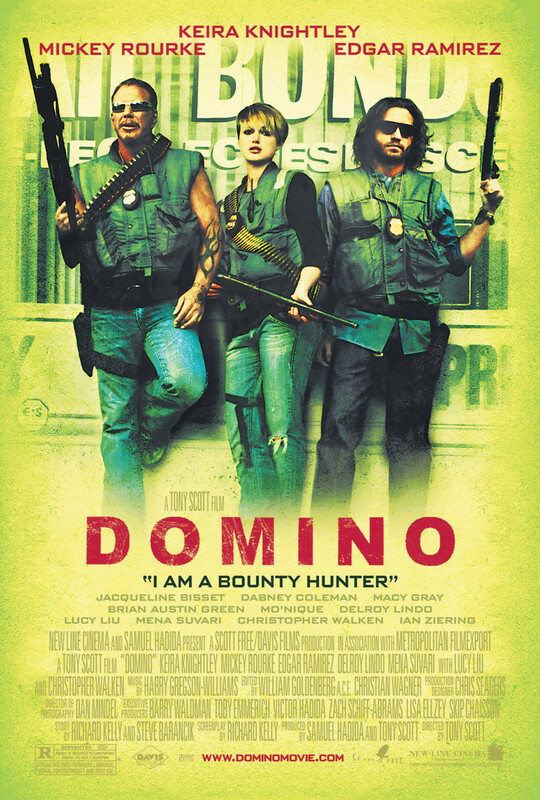 Real life bounty hunter Domino Harvey's story is retold in this heavily stylized action thriller. Harvey, at first a model working in L.A., meets other prospective vigilantes at a bounty hunter training seminar and subsequently becomes involved in a convoluted plan to rob an armored car. The scheme is to return the money for the cash reward. Many of the aspects of the plan go awry, and violence ensues as the many parties involved in the heist scramble to stay clear of the consequences.